Quick Disclaimer: I am being compensated by Life of Dad, LLC for my participation in the #BigGameChallenge promotion. Sponsored by Lunchbox, the #BigGameChallenge sweepstakes gives anybody the chance to win a spectacular home viewing system. When I was around 5 my grandpa took me to my first Major League Baseball game. It was 1986 and I didn't know it at the time, but the Minnesota Twins were a year away from winning their first World Series since 1924. I, on the other hand, didn't even know what the World Series was. I barely knew what baseball was. I don’t remember who won the game. Here’s what I do remember. My grandpa took me to down town Minneapolis and we walked the few blocks to the stadium. It was the first time I can remember walking around in a big city, and I don’t think I looked any direction but up for the quarter mile or so between our parking spot and the Hurbert H. Humphrey Metrodome. The thing about the Metrodome is that it has this amazing bait and switch trick it pulls on you. The entrance and the halls were this bland, colorless concrete. 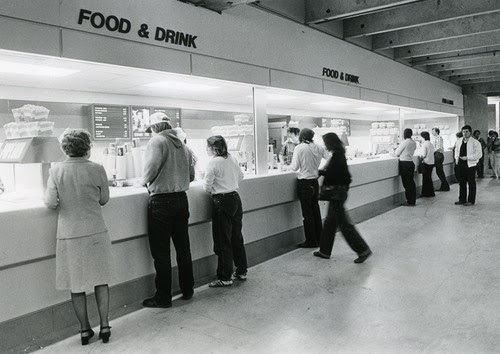 The concession stands were set back into the walls like uninviting lemonade stands. Tiny TV's mounted to the walls projected a grainy picture of the field. When filled with fans, the halls of the Metrodome felt claustrophobic while at the same time radiating the energy of everyone around. It was like the scene in "The Wizard of Oz" when Dorothy first steps out of the farm house after the tornado. It took my breath away. And I’m not saying that in the cliché, everyone says “it took my breath away” kind of way. I mean that it literally took my breath away. For a moment, taking in that image took priority over breathing. Aside from being the biggest room I had ever seen in my short five years of life, it was also the most people. The colors were brighter and the rumbling was louder and the blue was bluer and the green was greener and everything was just everythingerer. I didn't have a lot of words when I was five. I ate a hot dog. I sang take me out to the ball game, and “We’re going to win Twins”. My grandpa pointed out each player as they ran onto the field, and let me look through his binoculars at them. I watched Kirby Pucket play right field. I watched Frank Viola pitch. I mainly watched their faces. I remember them smiling a lot. When we left, my grandpa insisted that we leave out a specific entrance, instead of the normal rotating doorways that everyone else was leaving through. We circled the building until we found one, normal hinged door. It was propped open, and there was a bit of a line to get out of it. As you stepped through the door, the air pressure from the dome (it was basically a big balloon) smacked you in the back and sent you on your way. I may be exaggerating a bit, as child hood memories oft are, but I seem to remember the wind lifting my off my feet and dropping me a few feet from the Metrodome, laughing uncontrollably. I saw plenty of other Twin’s and Viking’s games with my Grandpa after that first trip, but I’ll never forget my first trip to The Metrodome. A few weeks ago the Metrodome was torn down. It was probably time. It was pretty worn down in 1986 when I first walked into its majesty. And while I am a bit torn about never being able to take my son through the gate and into the dome for his first time, I know that for the rest of my life I’ll still be able to close my eyes and see the green and blue light start small, get bigger and bigger, and finally open up in a way that makes me feel, for a moment, like I’m five years old, holding my grandpas huge hand, and trying to find my breath within the beauty. OK! Now it is time for the contest part of the blog! 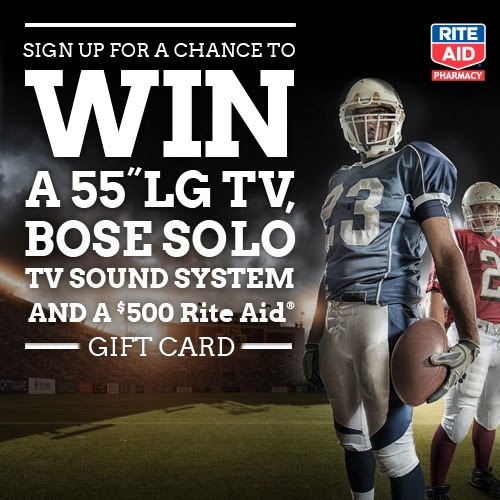 You could win an Ultimate Home Viewing System, just in time for the Big Game, from Rite Aid and Unilever! 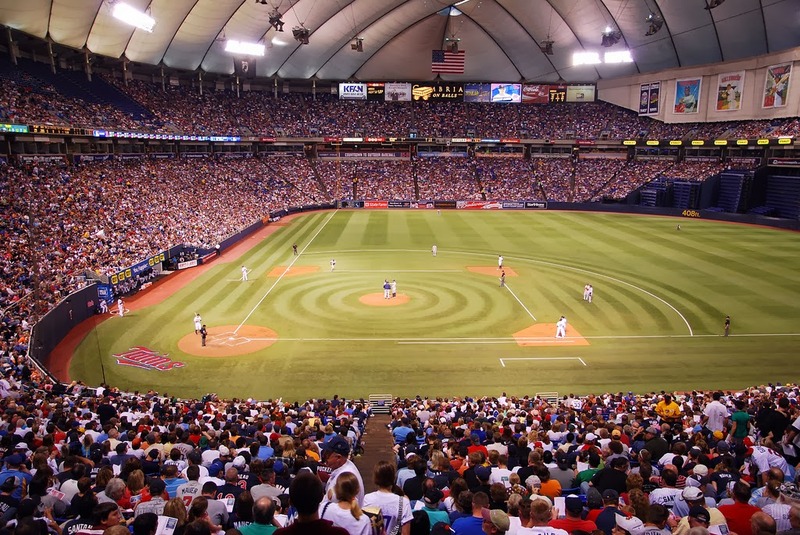 The Metrodome is gone, and while a new TV won't replace it, it may help to ease the sting. Rite Aid was kind enough to sponsor this blog post and wants you to enter to win the Ultimate Home Viewing System. If you have a minute, and like new TV's, pop on over to the contest site and enter. You can either click here or you can click the image below... because, you know, options are nice. Please stop by and enter. Help me, help you, help me, help you win a TV. While I understand your sentimental feelings towards the Metrodome and games with loved-ones, it really is/was an inferior venue for live sports. The concrete made it cold and echoey. The lighting was always a bit dim (although it was better with the new roof - post collapse). I became very tired of paying exceptionally high pro-sport ticket prices to sit in that old glim box. I too have been to the Metrodome many times...mostly to see my beloved Lions lose to the Vikings, but since my visit to Detroit and Ford Field, I really didn't realize what was needed in Minneapolis. Now, we will have both an amazing baseball field in Target Field and a modern football field. If I have to pay high prices for tickets, at least now we'll have a better sense of why. Go Lions and Tigers!!! Yeah, that place was propped up by nostalgia and air. I will miss it, but you're right, It was time.